The corn beneath these MidAmerican Energy wind turbines near Blairsburg isn’t yet quite as high as an elephant’s eye. When the stalks reach maturity, their roughness can cut wind speed (and power production) at the turbine’s hub, hundreds of feet up. Credit: Todd Spink, National Renewable Energy Laboratory. Charles Robinson rarely gives any thought to what he plants under the 3½ wind turbines (he shares one with a neighbor) on his farm near Greeley, in northeast Iowa’s Delaware County. The giant windmills are a boon for him and dozens of other farmers in the state, providing an income stream from wind farm operators. 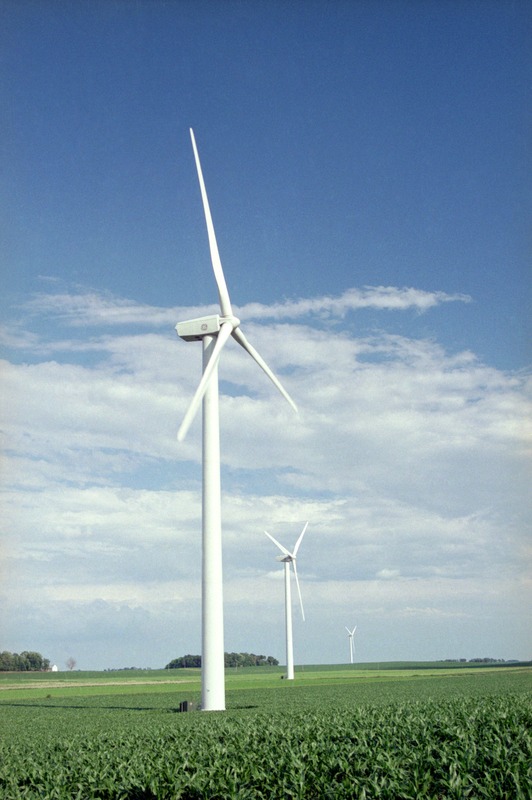 With more than 3,000 turbines installed (PDF), Iowa is a national leader in renewable wind energy. Like most Iowa farmers, Robinson plants a rotation of corn and soybeans. He never thought whether it was one or the other was relevant for the power the turbines produce. “The blades are so high, it wouldn’t bother anything,” he told me last week. But Brian Vanderwende, a doctoral student in atmospheric and oceanic sciences at the University of Colorado, Boulder, and his adviser, Julie Lundquist, wondered: How do the crops planted below turbines influence the wind that spins their blades? 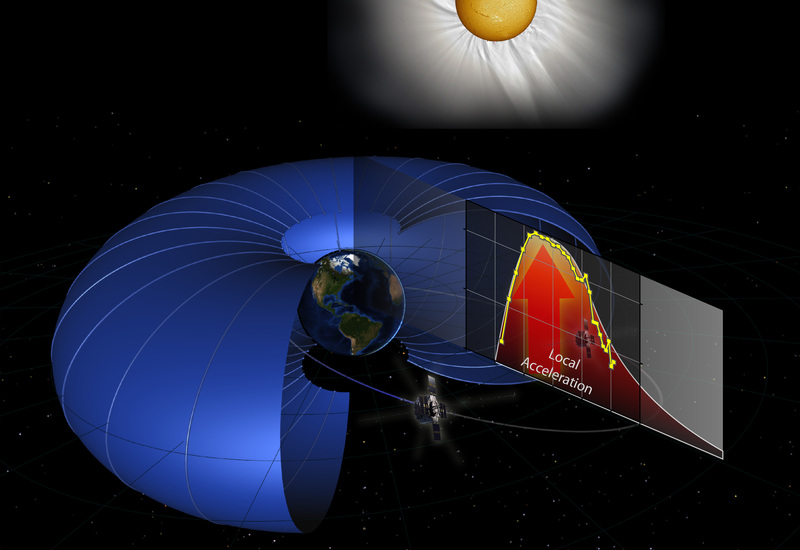 Last month, Vanderwende presented the surprising answer at the American Geophysical Union Fall Meeting in San Francisco.